I finally used some of the beads I won on the Gaea giveaway. 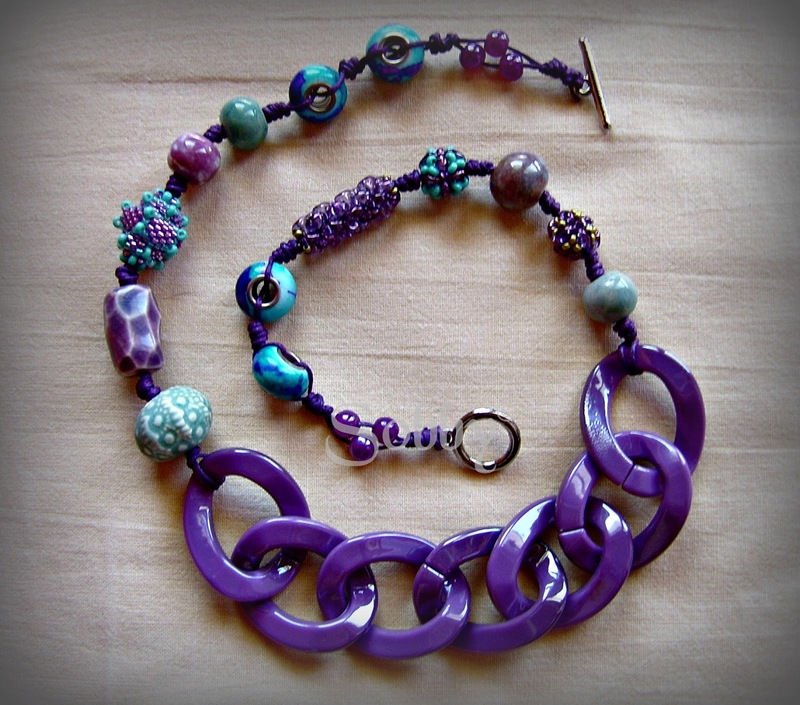 There are beaded beads made with both seed beads and Superduo beads, glass beads, Pandora beads and resin chain. It's so comfortable and light! And I so love this color combo. Still have to decide whether to sell it or keep it! Absolutely keep, necklace is impressive. You are very busy on holidays!!!! Today I got the bead-bug - can't stop making things! What a fantastic design! I love that purple chain! I am so glad you are enjoying your beads! :) Did you make the beaded beads? Awesome! Yes I made them :) thank you so much for stopping by and thanks for your awesome beads!